Felt good for a couple of hours this morning, so I tackled a card that would fit into several challenges. My oldest is turning 30 in a couple of weeks (how did that happen? )...so I am thinking he will receive this card unless I come up with something else. Moxie Fab World using Hexies. 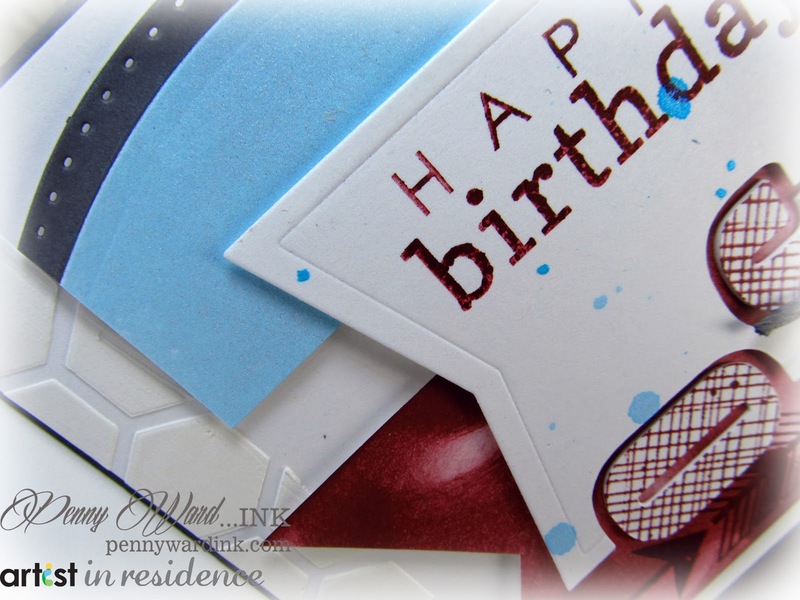 ScrapbookPal using a Spellbinders die. What a great design! you made it cas from that busy sketch! love all the different lines on this and great colors! Love this card!! 30 is still a young 'un in our family!! Glad you are having a good day. Keep it up!! We are painting the craft room! Can't believe we moved all that stuff!! And threw away two bags full!! Great feeling. Hugs. 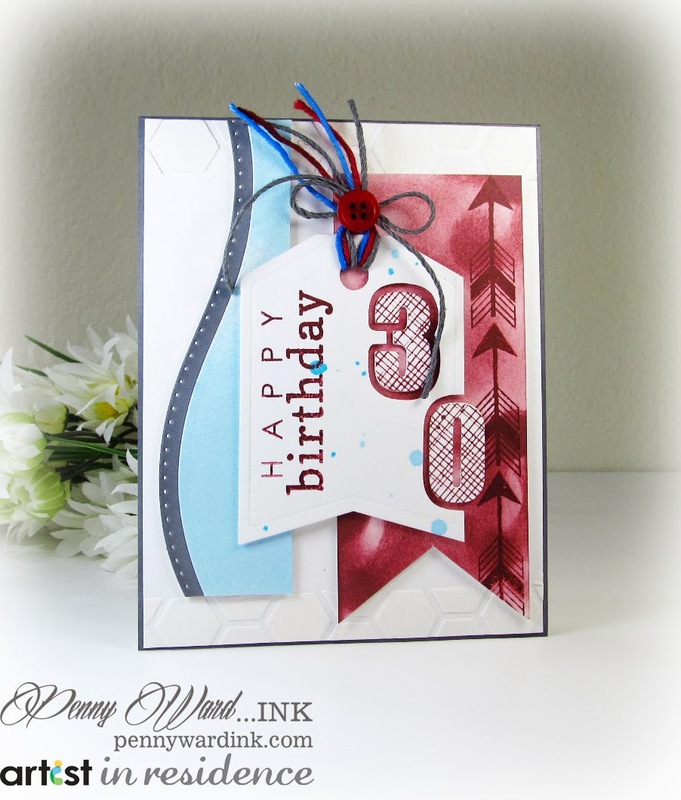 Lots of wonderful details on this card - love that red and blue together! Love the card, great colors! I am happy to hear you had a few good hours to create.